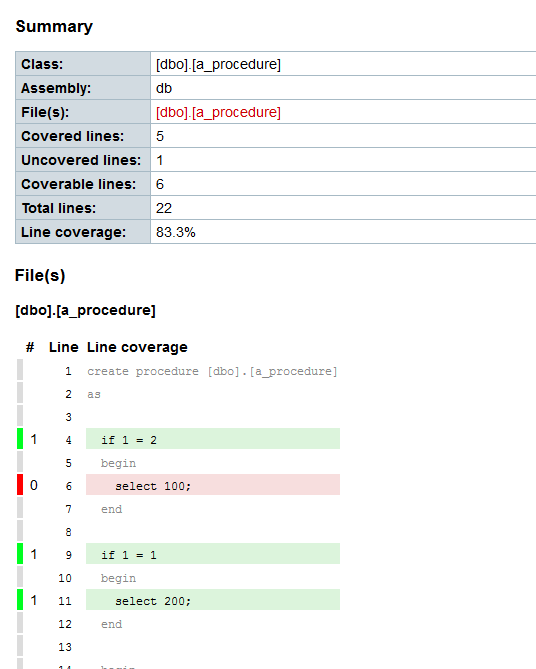 I have released a new version of SQLCover which is a code coverage tool for T-SQL (let’s you identify where you need to focus when writing tests). This includes a few minor fixes but also support for SQL Azure so if you run your test in a v12 database or higher you can now get an idea of code coverage from that. $result = Get-CoverTSql "path\to\SQLCover.dll" "connection string" "database name" "query"
If you want to run mstest tests or nunit or something else completely then have a look in the SQLCover.ps1 which includes some examples at the bottom but Get-CoverExe is probably your friend. I was looking at sqlCover.dll code and found that you have defaulted command timeout to 30 sec which is very less to run all test classes for large databases. Are you planning to change it in future version?